Hicks Tree Fort has level access and plenty of parking. 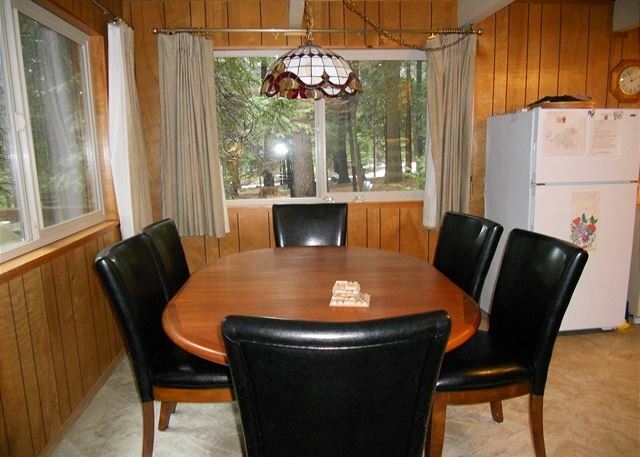 This cabin has a great deck to BBQ, relax and take in the forest. Enjoy horseshoes or cheer on your "team" from the deck above ! The living room features upgrades such as a new large, luxurious leather sectional sofa and a new flat screen TV. The wood stove provides great heat for the whole house. The home also has central heating. The large, sectional leather sofa is perfect for snuggling up with a fire in the wood stove, with a good book or in front of the TV. And the coffee table is great for board games or puzzles. New flat screen tv in the living room has a DVD/VCR combo with it. Lots of VHS movies are available downstairs in the video library. Dining table seats 6 easily. And plenty of light and views to enjoy. So many windows bring the outdoors right in for you! Recent upgrades include new tile floors, a new range/stovetop, a new dishwasher in 2014, along with all of the other kitchen essentials. This kitchen is very well stocked. 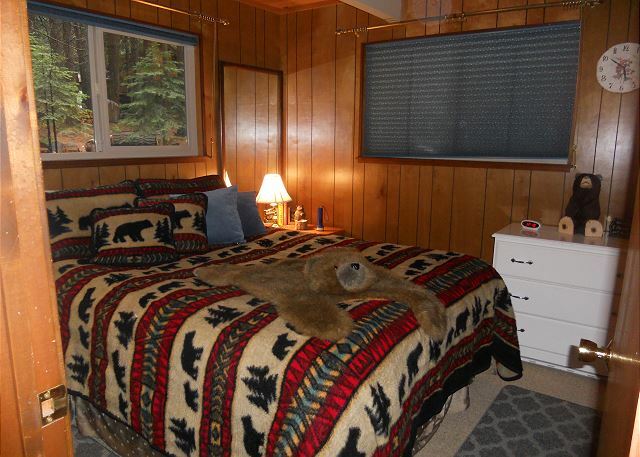 The Bear bedroom, one of two downstairs, has a queen sized bed and friendly bears everywhere. 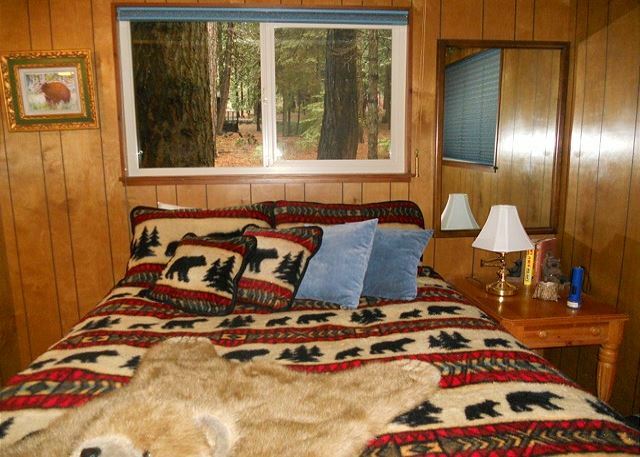 The Bear bedroom. The Owl bedroom, one of two downstairs, has a queen sized bed. The Owl bedroom. 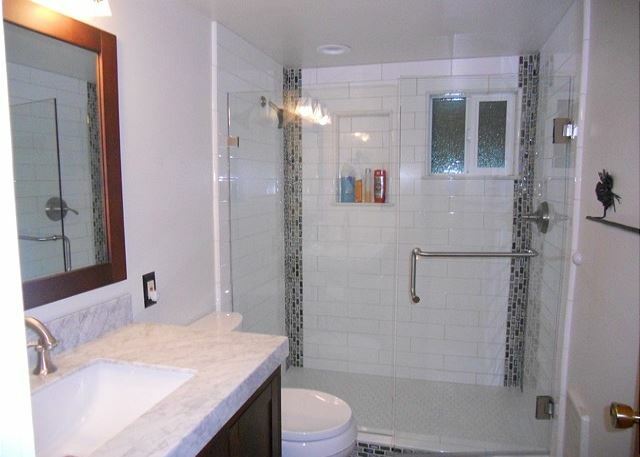 Bathrooms and showers were completely redone in 2016 - this one has a large walk in shower and marble counter top. 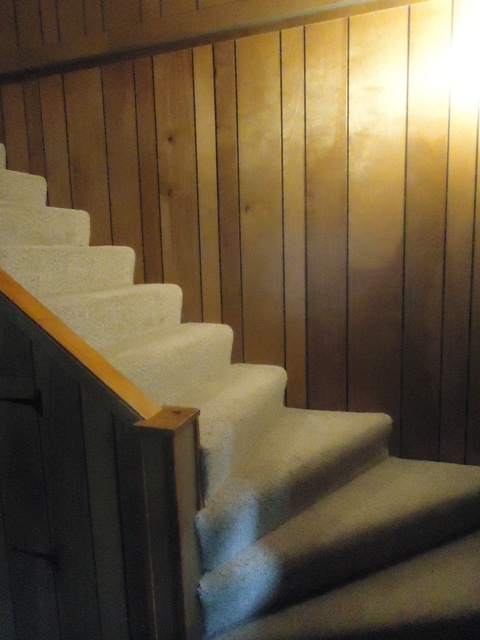 Carpeted stairs leading up to the Rec Room and third bedroom. 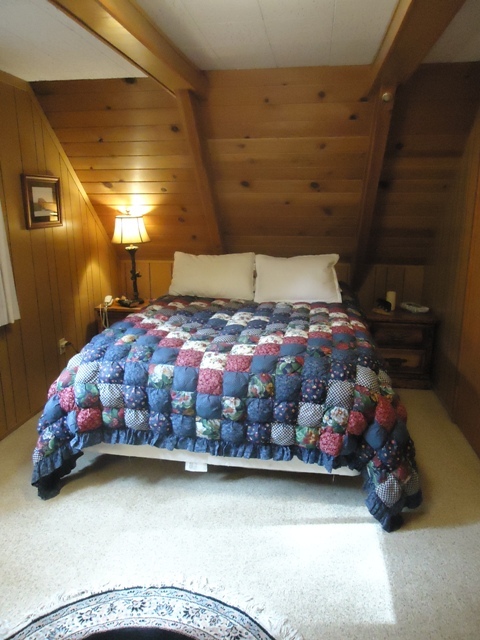 The third bedroom is located upstairs across from the Rec Room and has a queen sized bed. 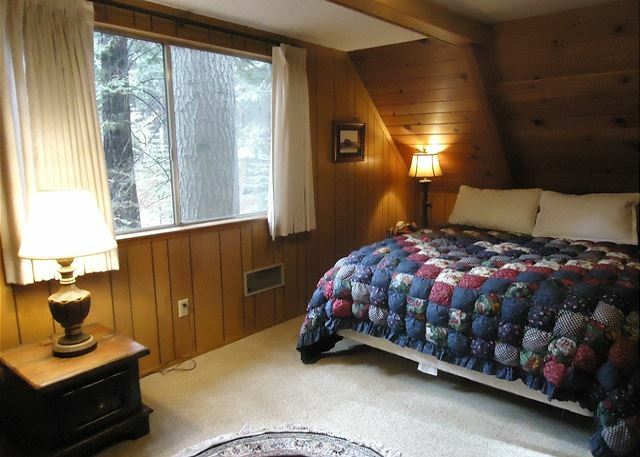 Lovely views of the surrounding forest can be seen upon waking in the upstairs bedroom. Wet bar in the rec room. A great place for snacks, drinks, friendly wagers on the pool game! The rec room has a pool table, TV with VCR, bar seating and two twin sized futons available for two more guests. 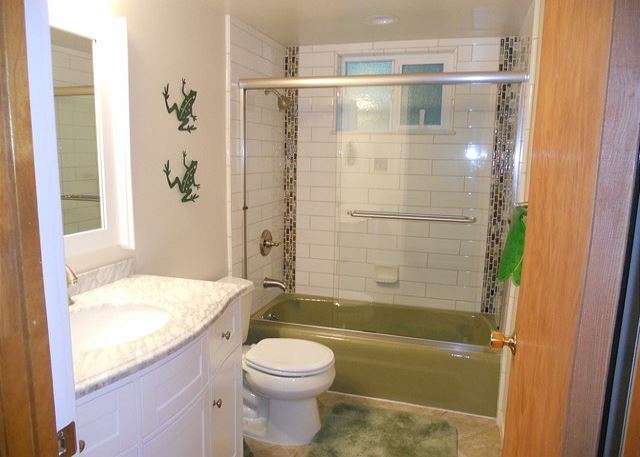 This bath, remodeled in 2016 - has a full shower and tub. 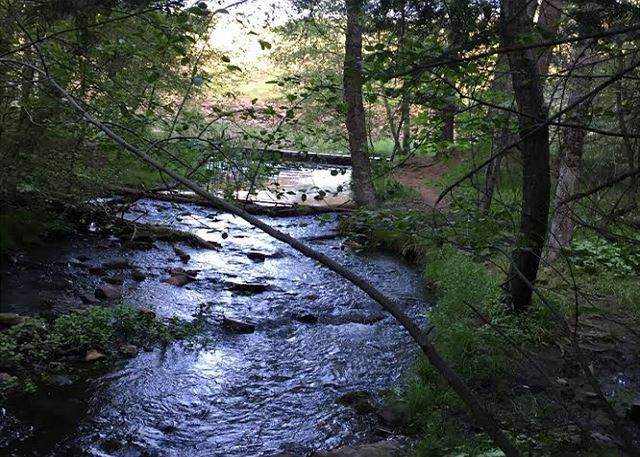 Plenty of local trails and stream to enjoy also ! ALL CABINS HAVE A HOUSEKEEPING CHARGE AND COUNTY TAX IN ADDITION TO THE RENT. 3 Night Minimum During Holiday Periods. THE TREE FORT HAS BEEN RECENTLY UPDATED! 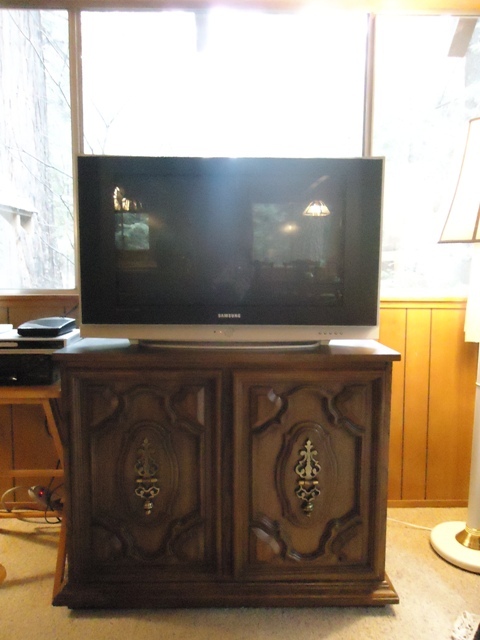 Upgrades include wireless internet, new sectional leather sofa, tile flooring in the kitchen and downstairs bathroom, a new stove top/range, and a new flat screen TV and DVD/VCR combo. 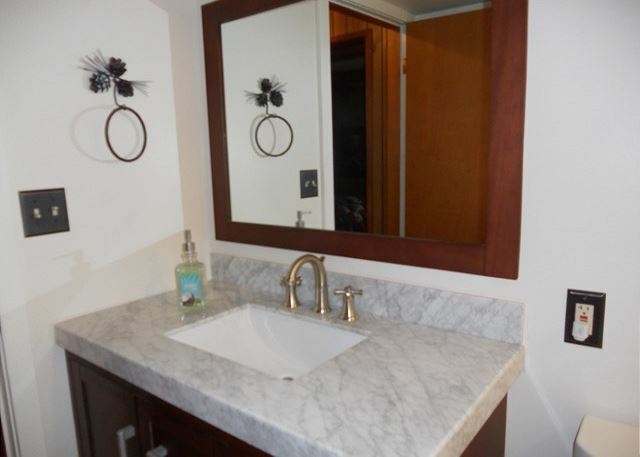 Bathrooms remodeled in 2016. 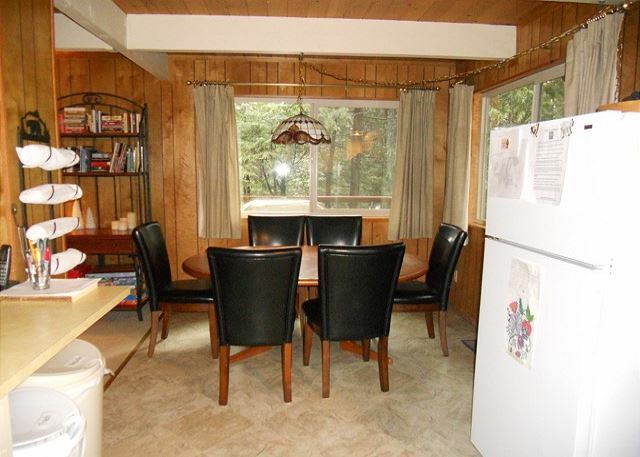 This very clean home exudes "cottage in the woods" feeling with 3 bedrooms, 2 baths, a recreation room with wet bar, pool table, TV & VCR and couch. 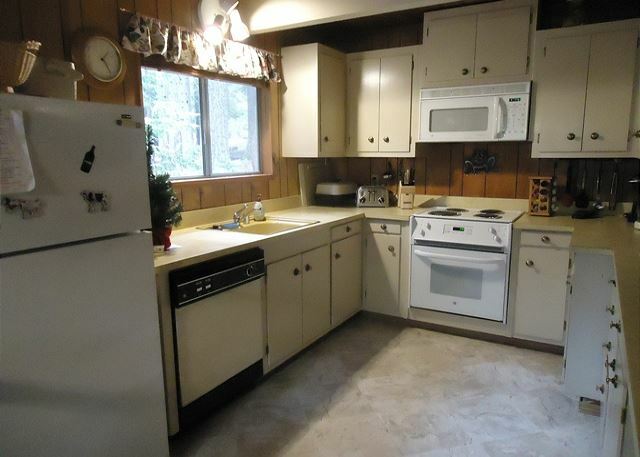 THe home has a wood burning stove and central heat and washer/dryer. Level access with parking for 4-5 cars in the driveway. Outside deck has patio furniture with charcoal BBQ for summer use (Guests should bring their own charcoal). Horseshoe pit, cable, library of movies, lots of snow toys and room to play in the backyard 6-8. 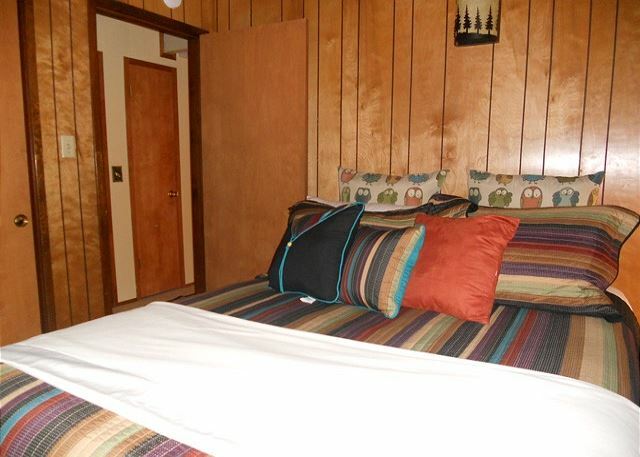 2 bedrooms are located on the main level and each has a queen bed. The third bedroom is located upstairs and also has a queen. There are two twin size futons in the rec room for 2 more guests as needed. This home does not offer rec center pool privileges. NO PETS, NO SMOKING. We stayed at the cabin for a short 2 day trip to do some skiing at Bear Valley. The cabin was in a beautiful wooded location. The cabin looked just as it did in the pictures. The beds were very comfy and the place was warm when we arrived for our first night stay.The cabin was only 35 minutes from the ski slopes. We enjoyed our stay and would love to come visit again. We welcome you to return to stay with us again. 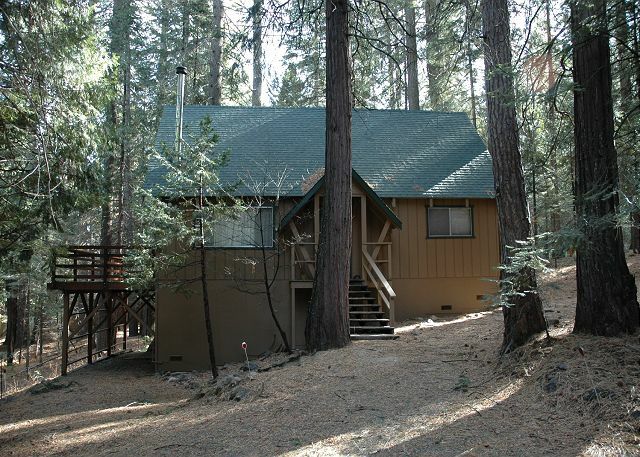 This is a cozy, warm cabin for a stay in the sierras and very close to skiing. We have always enjoyed staying at the Hicks Tree Fort and have stayed thereat least three times!The recent upgrades make it so nice and comfy. The bathrooms are beautiful, double pane windows, new fridge. We love the decor of two bedrooms is delightful: the snowy owl room and the bear room. Our grandson loves the bear room.The easy entrance driveway makes getting to the front door a snap.We enjoyed the walks around hte neighborhood, and of course getting to the top for winter sports! We have been coming to Bear Valley for 36 years and this house is a plus. Awesome location...close to Bear Valley & closer to Murphys! Terrific facility & amenities. Kicks Tree Fort was warm and cozy. The new double pane windows make a huge difference. Plus new cookware, new fridge and dishwasher made it all enjoyable. We loved sleeping upstairs all snuggled up listening to the rain on the roof. Even though there was no snow, we had some incredible hikes: Round Valley, Bee Gulch and South Grove to the Palace Hotel. There is so much to do here in any weather! Thank-you Wendy. We look forward to seeing you again in February. Enjoyed a ski trip to Bear Valley Mountain. 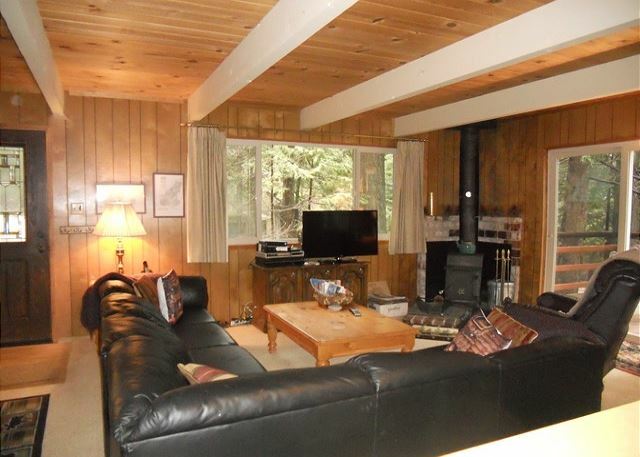 Dorrington was a great location, close to Arnold and to Bear Valley. Hicks Tree Fort had two extra twin floor mattresses, they came in handy! 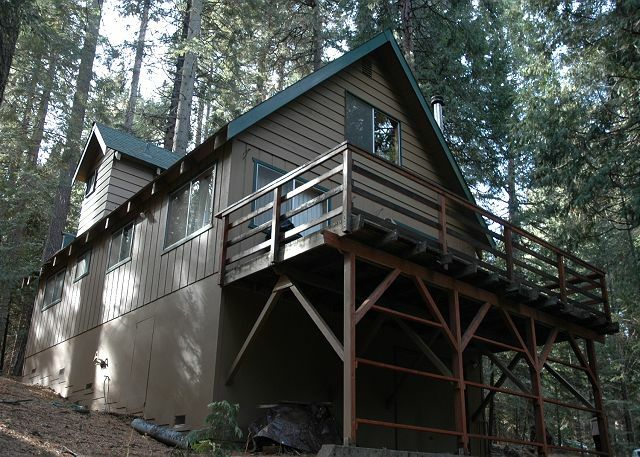 We have been renting mountain houses in the Bear Valley for 35 years, and have experienced many different homes. But, this Tree Fort has been one of the best homes yet. It was cozy,and warm. The kitchen was so well furnished with good quality utensils, pots and pans down to a whisk and electric beaters and a spatula!! Very easy for a crowd to prep and share the kitchen at one time. The main floor bedrooms were decorated so beautifully: the Bear room and the Owl room. Awesome. Upstairs was very nice, as well. Just so you know the beds down are doubles, not queens. A very easy driveway and entrance. Great for us seniors. A great find. We will rent again.We had so much fun snowshoeing at the top, snow play with our grandson and , of course, Calaveras Big Trees, and wineries. So much to do! Thank-you Wendy. We look forward to seeing you again next year. Glad this cabin pick was perfect for you. 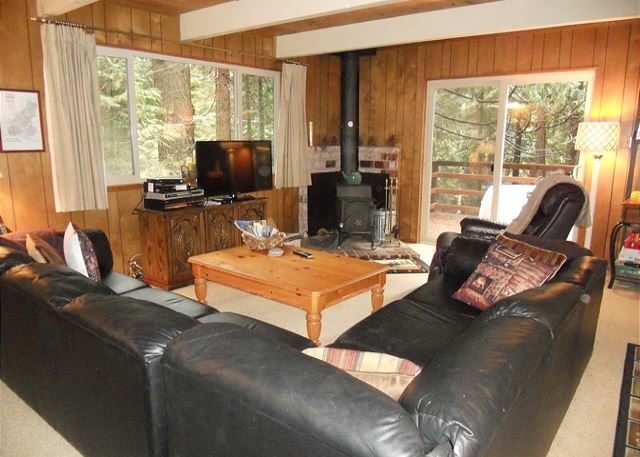 The owners take great pride in this cabin and work to make it the very best for their guests. Big Trees Real Estate was a pleasure to work with, and we thoroughly enjoyed our stay in the Hicks Tree Fort cabin. Loved the updated bathrooms, game room, and comfy/plentiful family room seating. My husband and I stayed at the Hick Tree Fort CaBIN For 3 days. We completely enjoyed the cleanliness and comfort of the cabin. 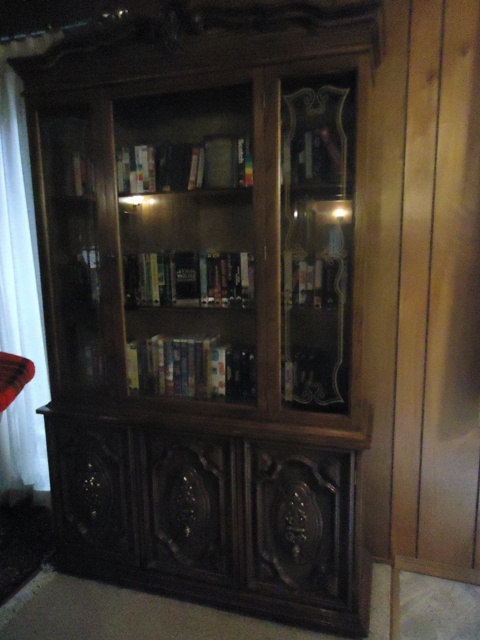 It was completely furnished with everything we would need for our stay! We had a great visit in Dorrington at the Hicks Tree Fort. The people at Sierra Vacation Rentals were great and we appreciated their quick response when we had questions. The house was perfect for a family get-away with one other family. We both have young children and the kids loved playing in the upstairs "pool room" and we appreciated that they had a place of their own to keep the noise level down. :) Note for families with babies...the downstairs bedrooms are small, but the one upstairs was bigger so we had room to put a pack n' play out for our baby. The house was well-appointed and had things we didn't expect. We brought ziploc bags, plastic wrap, sponges, dish towels, laundry detergent but found they were already well stocked at the house. We did a lot of cooking and there was every type of pan and pot needed. Despite the fact that the house probably had all the original furnishings in the bathrooms and kitchen cabinets, it was super clean and all the bedding and dishes seemed brand new and clean. One extra bonus was the next door neighbor. He saw we were trying to build sled runs for the little kids with the minimal snow available. He made an awesome run from his driveway to ours by driving his truck over the snow bank on the side of the road to flatten it and make a run. The only thing I'd like for our next visit would be that we could leave a last load of dishes in the dishwasher for the cleaning crew to put away. Not a big deal, but it was harder to get out of the house needing to hand wash and dry all the final dishes. Also, it would be great if the cleaning crew could do an occasional date check on the food that has been left behind over time and throw out the expired items. Overall, we had an incredible time and loved the house, the neighborhood and the surrounding area. This was out first time to this area and really enjoyed it! It was so much easier to get into than Tahoe and seemed less chaotic, especially on a holiday weekend. We are so glad you enjoyed your time at the Hicks Tree Fort. The owners take wonderful care of the home and though it is older, there have been new upgrades such as new furniture, new flooring in the downstairs bathroom and kitchen, a new flat screen internet, and more. 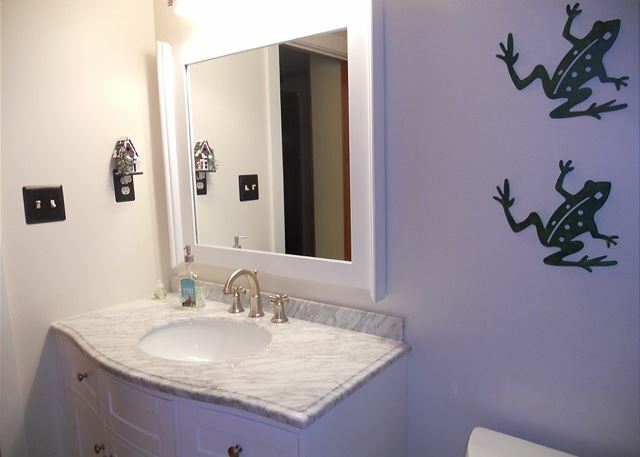 Bathroom renovations are being done later this year. The house is in a fantastic neighborhood and we are glad you were able to experience the kindness of locals during your stay. The cleaning crew does endeavor to check and throw out old and expired food items, but often times will leave condiments as they are left there by the property owners. The cabin does have a new dishwasher so hand washing the dishes should not have been necessary, though we sincerely appreciate you doing so and following the tenant check list prior to your departure. We hope to see you again in the future! The Hicks Tree Fort is a truly charming rental that exudes that "cottage in the woods" feeling. It has been recently upgraded with new furniture, including a large leather sectional sofa, tv, new tile flooring in the kitchen and bathrooms, and wireless internet. The owners plan on making even more upgrades this year. We are very glad you enjoyed your stay there. 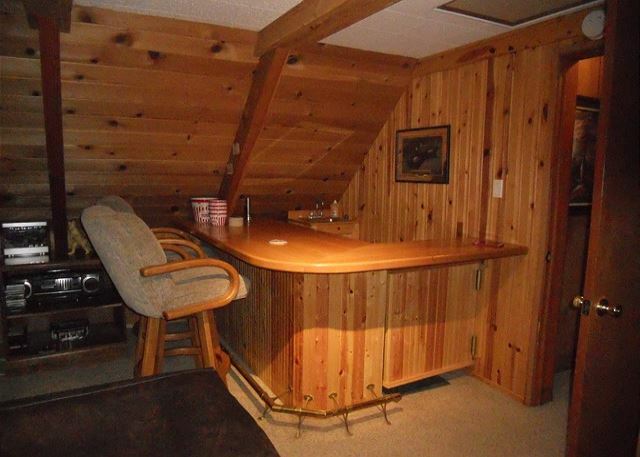 The wet bar and pool table are wonderful to enjoy on cold, stormy days. During the summer the horeshoe pit is quite popular. Unfortunately, at elevations of 5,000 feet, stairs and entrance ways can become slippery despite efforts to de-ice, even if they are flat. Though the front stairs are somewhat steep, there are only about 5 steps leading up to the front door. Always use caution at high elevations during cold temperatures and snow storms. Again, we are glad you enjoyed your stay and hope to see you again in the future! First off the property management team is awesome. The cabin was roomy, clean, and comfortable. Would have liked it to be a bit more secluded but definitely had our space. The kids were a bit sad there was no wifi however the adults were very happy about this. I would definitely recommend this property and you can't beat the price. So glad these guests enjoyed their stay! Though the cabin is located in a residential area, the houses are well spaced and many houses are not occupied year round. It is a wonderful place to visit, summer, spring, fall, or winter! I absolutely love the cabin, it is very comfortable and cozy. The playroom with pool and mini soccer is a great benefit for children and adults also. The management was perfect. We rented this cabin for several years and plan to return here again. Thank you for your review! We are glad you enjoyed your time in the HicksBerg cabin. Not all cabins offer internet service. 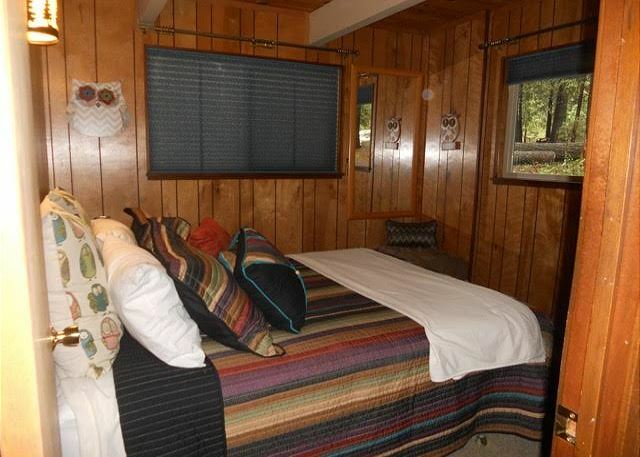 All amenities are listed in the cabin descriptions as well as the amenities page for each individual property. Thank you again and we hope to see you again soon! 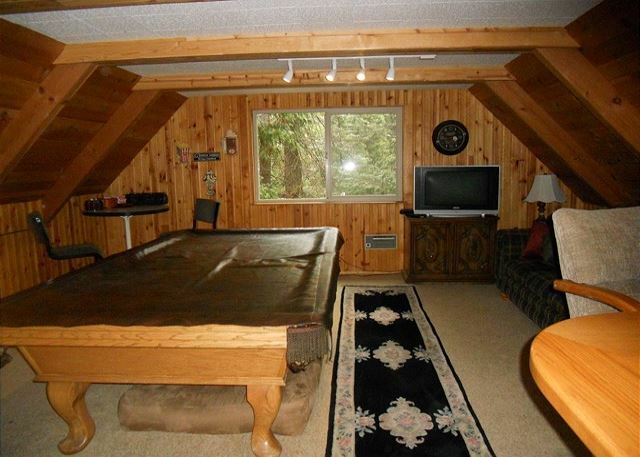 This is a nice cabin to rent for kids with a pool and foosball table upstairs. The only downside is that the living room is dark - but I think that is true for most of the houses in the area as they are all in the woods. My friends and I had a wonderful time. The location had plenty of snow too! Overall, I hgihly recommend it! We had a splendid snow storm during 4/11-13: about three feet on the road down to Lake Alpine. Fortunately a snowmobile had come through. We went up to the saddle, looking down on Duck Lake, then left along the ridge about a mile to do some telemarks. The cabin was our favorite, funky and clean. Two recommendations: something needed on the bath tub bottom so that we WILL NOT SLIP AND FALL while showering. Two: explicit directions for using the DVD. Other than that, really a fine cabin for relaxing. Well layed out for a family with upstairs rec room. Lots of movies & games provided. Good quiet location. PS if u cant find the washer & dryer they're in the garage. Comfortable beds. My friends and I spent Christmas time in this cozy house. It was a great place to go. All windows look to the big trees. There is a very quiet and peaceful neighbourhood, and you smell the pine trees and redwoods. Recommend it to those who enjoy a village style house. The kitchen is all equiped. Our teenage kids had fun playing pool in a play room. There is also a great set of games for all family. A lot of family movies, too. The property was great for my family. We were told there was a washer and dryer at the cabin but could not find one. The keys we were given did not open the garage where we believe the dryer was. Overall a great stay though...we will be back! The staff was non-responsive once the house was paid for, directions were incorrect and the house was in disrepair. I will be renting/purchasing from another company. During these guests stay we never heard once from them if there were problems? We are available 24 hrs. a day if there are any problems and do not ignore issues or concerns that occur. We have a emergency number available for our renters to call should they need our assistance at anytime. Our goal is to provide a wonderful stay for our guests so they return again. This is a great cabin, not sure what despair they encountered during their stay?? ?